In the Landscape page, use the Actions dropdown to Delete, Rename, Duplicate or Share the current landscape. When you delete a Landscape, the company records are not removed from Rival IQ and are only removed from your account. Add the companies back to your account in another landscape if you’d like to see their content and history in your account again. Duplicating a landscape gives you the ability to duplicate an existing landscape if you’d like to create a slightly different version of that landscape in your account. Remember, Rival IQ counts unique companies when calculating your Company Limit so feel free to make as many landscapes as you like. 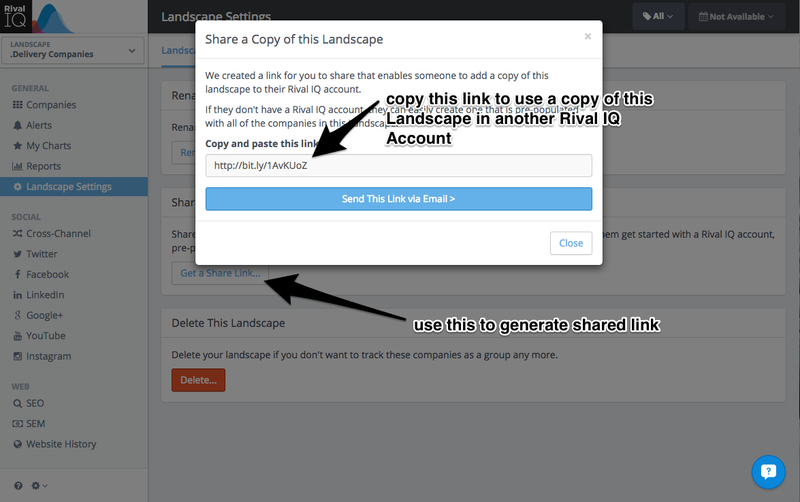 Sharing a Landscape gives you a shareable link you can give to a colleague. 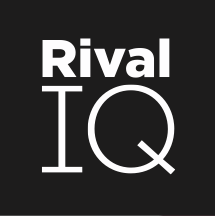 On clicking this link, your colleague will be prompted to set up a Rival IQ account and the companies in your landscape will be added to her account.